In this post, I indicate two more places to find a sermon. Unlike the first three, the following two places are discovered, not by beginning with the biblical text, but by beginning with your operative theology (Place 4) or historical context and situation (Place 5). Place 4. In the Theological Claims of the Text. In this approach, your operative theology (liberationist, feminist, evangelical, existentialist, etc.) and/or tradition (Lutheran, Reformed, Roman Catholic, Orthodox, Baptist, Methodist, etc.) becomes much more active and acts as a guide, leading you to the place where you find a sermon. 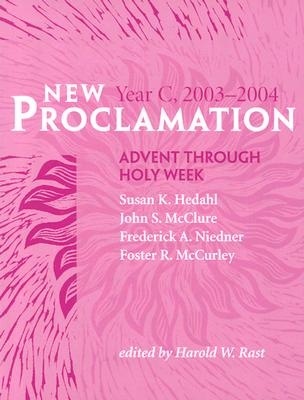 Following the lead of this theological guide, you travel toward a key theological claim at work in a text; a claim about justice, mercy, sanctification, salvation, hope, etc., depending on your operative theology. Once you arrive at that claim you will allow it to shape the message and form of the sermon. William Sloane Coffin, whose theology was often strongly liberationist in tone, once preached a powerful sermon on the healing of the paralytic. His theology drew his eyes to the moment in the text when the paralytic, whose sins had been forgiven, was invited to get up from his pallet and walk. For Coffin this moment in the story revealed a crucial theological claim – that new forms of ethical responsibility should accompany and in fact complete our experience of forgiveness by Christ. To paraphrase Coffin’s words “the problem for the paralytic was not forgiveness, but responsibility – response-ability – the ability to respond to the love of God….to get up off that stretcher and walk.” Coffin then highlighted the tendency among many Christians to spend their time celebrating and basking in the blessings of forgiveness in a way that effectively kept them on stretchers – unwilling and unable to get up and do the liberating work of God. For Coffin, the theological claim of the text was the unity of justification (forgiveness) and sanctification (liberative action), and it was from this theological place that he preached his entire sermon. When preaching from this place, your theology generates both the tone and focus of your sermon. The language of the sermon will not reiterate the words on the page of the Bible (place 1), develop continuities with historical events or formations such as “empire” or “exile,” (place 2) or imitate the way the language of the text works (place 3). Instead, the sermon will focus on a particular moment, or set of moments in the biblical text that identify, focus, or illuminate a particular theological claim you are making. Sermon listeners will hear those biblical moments shaped into a sermon by your theological claim regarding forgiveness, liberation, hope, idolatry, obedience, love, etc. Place 5. In today’s situation as catalyst for the text’s meaning. In this approach, you begin the journey toward a sermon with something significant that is going on in your situation or broader context. You then ask what meaning or idea in the text is catalyzed by its confrontation with your context today. Throughout history we have seen how meanings in the biblical text are catalyzed by our own moment in history. Often these are meanings we could never have known before. For instance, the civil rights movement catalyzed new meanings from the biblical text about slavery, systemic evil, and oppression. 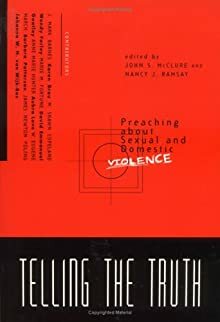 The feminist movement catalyzed new meanings regarding sexual violence, forgiveness, and atonement. Adopting this approach, you might pick up the newspaper or reflect on an important issue confronting the larger community or congregation. Then, ask “What meaning lies dormant within this text awaiting this moment in our history or life together as a nation, community, or congregation, to be discovered?” Although this may lead to a dead end (or to frightful eisegesis – so be careful! 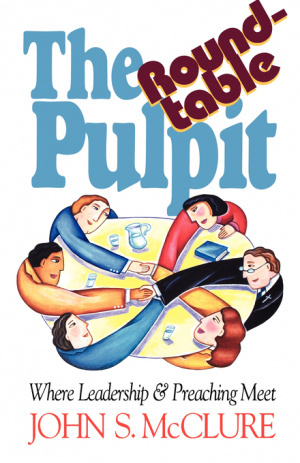 ), it is amazing how often you will find a genuinely helpful idea, or an entire re-framing of the current situation provided by a seemingly unrelated biblical text. The Sunday after the terrorist attacks on the World Trade Center and Pentagon I was slated to preach at a large church. I had originally chosen to preach John 3:16 – a difficult sermon in which I was trying to re-think more exclusivist interpretations of this passage. After the attack on the trade towers and Pentagon, I felt strongly that the situation at hand was catalyzing a different trajectory of meaning from the text – one that hovered around the deeper meaning of “belief” (“whoever believes in me”) as a form of trust. I moved the entire focus of the sermon toward the ultimate trustworthiness of God in a world where trust had been shaken to its core. When preaching a sermon from this place, you will use language that shows how the listeners’ own context is, in fact, already there, in the world projected by the biblical text. The ultimate meaning of our context exists as a latent trajectory or horizon of meaning in the text awaiting this moment to be discovered. Instead of hearing you draw dynamic analogies from the words of the text (place 1), identify historical continuities behind the text (place 2), re-perform the text’s rhetoric (place 3), or locate specific theological claims in the text (place 4), listeners will hear you dig deep within the immediate situation and discover there a thought or image that serves as a catalyst for a hidden trajectory of meaning within the biblical text. Place 5. In our situation, where trajectories of meaning from the text await this situation to be discovered. 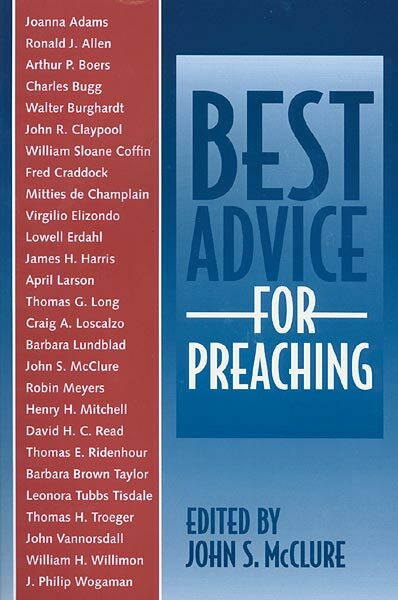 For more about these options, see The Four Codes of Preaching: Rhetorical Strategies, and the section on “hermeneutics” in Preaching Words: 144 Key Terms in Homiletics. In this post and the next, I will describe briefly five “places” to find a sermon. Although there is nothing strikingly new here, it is always good to be reminded of the options that are available. These options are not, of course, mutually exclusive. Place 1. On the page of the biblical text. In this approach, you find a sermon idea among the obvious features of the biblical text (in translation) or what is “on the page.” Of course, in order to be sure that you correctly understand what seems “obvious,” you need to study the text in its context first. But as a preacher, once you are certain what the text is saying, you will return to the words and thoughts (ideas, metaphors, images) “on the page” as the place to find the sermon. As you think about these words and thoughts, ask yourself: “What might be dynamically equivalent to this thought/image/word in today’s situation?” By dynamically equivalent, I mean to imply that you allow some well-considered latitude. Don’t remain overly wooden or literal when identifying an equivalent idea. For instance, In the story of Mary and Martha the image of Mary seeking instruction from Jesus is dynamically equivalent to any action of attending carefully to the words of Jesus in today’s context. A non-dynamic or literal equivalent would focus only on instances when women attend to Jesus’ words and thoughts today. This may constrict and overly narrow the meaning of the text. 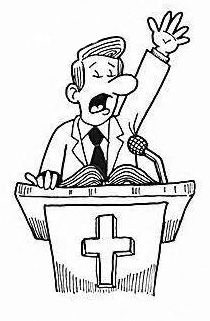 When you preach from this “place,” your congregation will not hear you referring so much to the historical context for the biblical text as to the translated words on the page of the biblical text. In effect, you are asking them to live lives that are in some way imitative of, or closely analogous to the clear and straightforward meaning of the words on the page. In Ched Myer’s commentary on Mark’s gospel, for instance, he argues that the “fishers of people” text is best understood in a situation of empire in which the gap between rich and poor is ever-widening. He notes that Mark’s listeners would have heard these as apocalyptic words referring to images of fishers in Jeremiah 16:16, and Amos 4:2 where fishing hooks and nets were not only used for gathering in God’s chosen people, but for separating out the evildoers from their midst. In our current post-Enron, debt-crisis situation, the preacher may discover strong historical continuities between first century struggles with empire and our own struggles, and the need for “fishers of people” who will both gather in the wounded and pronounce judgement on the purveyors of empire. When you preach from this “place,” your congregation will not hear the words on the page as much as references to “Mark,” or “Matthew’s community,” or “during the exile,” and other indicators that your sermon comes from behind the biblical text. In effect you are inviting listeners to live lives in historical continuity with our forebears in the faith. Place 3. In Front of the biblical Text. In this approach, you find a sermon idea “in front of the text,” in what the language or rhetoric of the text does. One way to get to this “place” is to say: This text sounds like __________” (a sales pitch, a prayer, lamentation, praise, a lover’s quarrel, a negotiation, an argument, etc.) For instance, Tom Long once preached a sermon about Jesus’ trip to the temple as a little child. He was struck with the way the language of the text seemed to shout: “Everything about this person is a mystery!” He used the litany “Did you ever get the feeling there’s something going on you don’t understand?” to draw the reader deeper into the mystery of Jesus created by the language of the text. 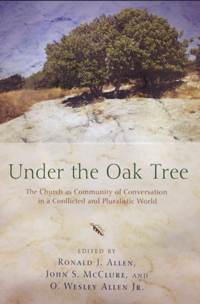 When you preach from this “place,” your congregation will not hear so much the actual words of the text, or about “Mark’s community’s desperate struggle with empire,” but a re-performance of the text’s rhetorical or communicative force – what it “does” to us. Let’s stop here for now. These are the first three places you can go, if you want to find a sermon. These are all “bible-centered” approaches – starting in, behind, or in front of the biblical text. In the next installment, we will look at two places you can go that are not as textually centered – but which still honor the biblical witness. 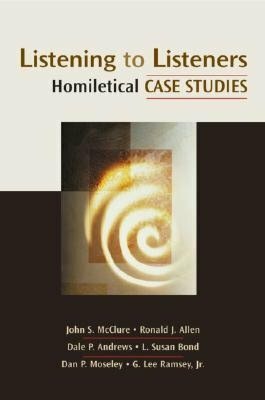 For a more detailed description of these options, see The Four Codes of Preaching: Rhetorical Strategies, and the word “hermeneutics” in Preaching Words: 144 Key Terms in Homiletics.